The Battlefield website has been updated with the names and themes of all the DLC, this thread will be dedicated to TT news and speculation. We probably won't get more info on this expansion for many months after this threads creation, but since we already have a good deal of info to speculate on in the form of the concept phto: And the press blurb: Participate in the amphibious warfare of WW1. Embark with the new destroyer into intense tactical naval clashes. Master the coastal class airship in the fierce interplay between land, air and sea. Engage in the daredevil Zeebrugge raid and storm the beaches in the first days of the Gallipoli offensive. There is a lot to gather but lets start with the map in the concept art, The Zeebrugge Raid was an attempt to blockade a harbor for U-boats by crashing outdated ships into it, it was sold to the British people as a success, but in reality 227 Brits died while another 357 were injured along with the sinking of the HMS Northstar destroyer, while the Germans experienced a total of 8 casualties and the port cleared again with the high tide. Obviously it probably won't play like that at all, perhaps we will see one of ships crash as a levelution event. Now for the vehicles, and boy is there a lot, first off we have the mention of a new Destroyer, this could be the aforementioned HMS Northstar apearing as a Behemoth, but there is also the Coastal Class Airship, which is much smaller than the L30(and since it's non-rigid more squishy as well) so it could be a behemoth as well or a new air vehicle, these last 2 aren't mentioned but we can see what looks like a Sea Plane and there is in-game British dialog for spotting a submarine. I kind of wouldn't mind DICE bringing large scale activated levelution back, it may be tiring after the 10,000th time (especially when your own team is to blame). But that ability to change up map dynamics is pretty fun. Too bad even in BF4 where they tried to make it a big deal they made it meh, but it could add a lot of fun to the game. Yes please! 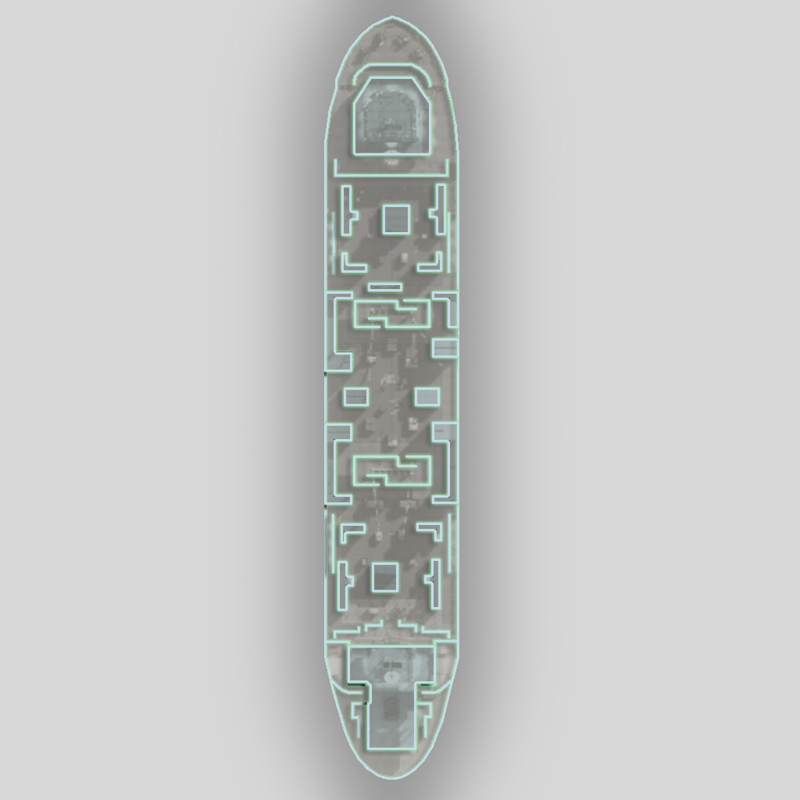 I would bet that there will be this one odly detailed ship sitting on the CQ map that will be used for TDM, DOM and WP. I hope we will see full-size destroyers/battlecruisers introduced as standard boats to truly put some naval warfare in. My guess is that aside from the obvious Zeebrugge Raid and the Gallipoli Offensive, we will see the Black Sea Raid (which will be bundled with Gallipoli as an operation), and lastly the Seige of Tsingtsao, which was in part a naval battle, caused over a dispute over Austrian boat placement. This means we will probably see some Japs introduced as well, along with their weaponry. And lastly, we will get quasi-behemoth Destroyers/Battlecruisers. I have no idea what Assault might bring, and they might bring nothing with this DLC making up for the 2 assault weapons the French DLC had. Medic will of course be the Farquhar-Hill rifle; pretty much a dead-giveaway. The Support will get the Darne, which was designed with ship usage in mind. It might also be the Burton instead; a gun designed at first for taking down blimps but was later reworked into being a weird BAR with 2 top-mounted magazines and different ammo. The Nambu Pistol will probably get introduced as a sidearm for all classes. Hey, I have a Nambu pistol. Shame I have no idea if it can fire or not. Levolution failed because it over-promised but under-delivered. It also often look a lot of explosive gadgetry to pull off (shanghai tower, radio dish), and then at the end of the day didn't dramatically change the face of the map. It would change one flag heavily and that would maybe spill over to neighboring flags such as on shanghai. But meh. It was a lot of overhead for a pretty limited mechanic, and one that generated a lot of crashing and client instability on release to boot. Shanghai tower going down was routinely crashing out half the server pop on PC for a good long while into the release. If they made levolution such that it was an actual useful objective for the attacking team on a conquest assault-type map (ie where you start off with asymmetric tickets/flag control), it could/would be interesting or at least be part of the logical assault progression even after the 10,000th time. Instead of just being derpy. I can see us getting the maps you mentioned, it would mean we would only get one operation but I think that's fine. On the subject of vehicles I have a theory that with each DLC we will get a new vehicle that we can use on existing maps thanks to BF1's style of vehicle spawning. For TSNP we are obviously getting the Saint Chamond, for INT we will probably just get new cavalry loadouts unless DICE wants to add the Austin-KÃ©gresse or Whippet Tank, but I am pretty confident in TT we will get a new air vehicle in the form of a sea plane or blimp. I don't know how they would make a sea plane interesting but I think a small blimp like a C-Class would make for interesting new gameplay, it would be a large target but have good firepower and be impervious to small arms(anything below an HMG round). For Assault the Maxim SMG, it is a stretch but at least it has a model in existence, more than can be said for the Hellriegel. For Medic the Farquar Hill Rifle and the Madsen Rasmussen. For Scout hopefully the Arisaka. I won't cry if they don't add another single pistol to the game. That's pretty much what I meant giving it more of a role in map proggression.